generations from when it was first seen on stage . 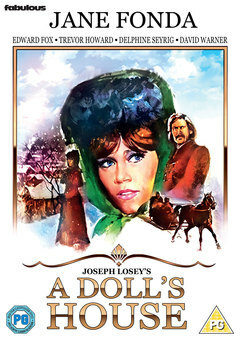 Nora (Jane Fonda), who appears to be the model wife and mother, committed a forgery in order to save the life of her overbearing husband, Torvald (David Warner). Now she is being blackmailed and lives in fear of her husband finding out and the shame that it will bring upon him and his name. Nora goes on a voyage of self-discovery which ultimately leads to her rejection of the role that a 19th Century society has forced upon her. Jane Fonda, Edward Fox, Trevor Howard.